In the last decade, tsunamis, earthquakes and other natural disasters have wreaked havoc on distant lands. But the United States, in its history, has had its fair share of serious storms, including hurricanes, tornadoes and blizzards that took deadly tolls. Five U.S. storms rank among the deadliest of their kind. Discover the devastation they caused as well as what we learned from them — and what we still need to learn. 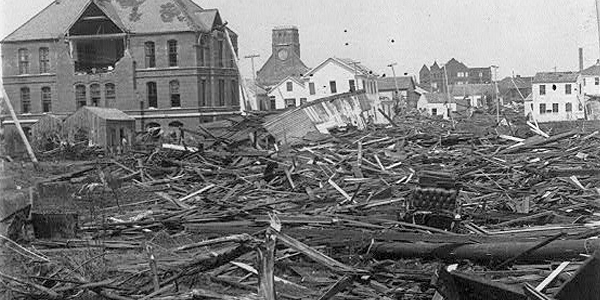 On September 8, 1900, with little warning, a powerful hurricane slammed into Galveston, a vulnerable barrier island off the Texas coast. Back then, the highest spot on Galveston Island was less than 9 feet above the sea, according to the National Oceanic and Atmospheric Administration. That’s lower than a basketball hoop. The unnamed hurricane, believed to be a Category 4 storm with winds exceeding 130 mph, spawned a devastating 8- to 15-foot storm tide that washed over the entire island, according to federal officials. Some 8,000 to 12,000 people died, making it by far the deadliest storm in United States history. Galveston residents had very little time to prepare for the storm and leave the city. “People just sort of had to hunker down,” says Neal Dorst, a research meteorologist in the federal Atlantic Oceanographic and Meteorological Laboratory/Hurricane Research Division in Virginia Key, Florida. In a United States Weather Bureau special report after the storm, local meteorologist Isaac M. Cline recounted a harrowing personal experience. Lessons learned: In 1900, Cline and others believed a severe hurricane couldn’t hit Galveston. They thought the city was too far north. Afterward, the threat of hurricanes was taken more seriously throughout the Gulf area, according to Dorst. Later, officials built a 17-foot sea wall along three miles of oceanfront and pumped sand onto the island, raising it as much as 8 feet, according to NOAA. This hurricane, one of the strongest ever to strike land in the United States, came ashore in the Palm Beach, Florida, area on September 16, 1928, but it had a much deadlier impact inland, according to Dorst. Winds drove a surge toward the southern shore of Lake Okeechobee, and the water eroded earthen dikes, which collapsed. Most of the people along the lake were migrant workers living in shacks and “they were just trapped by this sudden surge of water and most of them drowned in the lake surge,” says Dorst. About 2,500 people died. Lessons learned: The failed dikes were replaced by the Herbert Hoover Dike, a 143-mile earthen dam surrounding Lake Okeechobee. The hurricane caught Palm Beach County residents by surprise, according to Dorst, because forecasters did a poor job tracking it — they thought it had curved when it was still on a westerly course. This spurred forecasters to try to do a better job at tracking storms. Katrina was a mammoth Category 5 hurricane one day before it struck the Gulf Coast on August 29, 2005, inundating New Orleans and killing about 1,800 people. The storm weakened to Category 3 strength but still generated a “very bad storm surge” along the Mississippi and Alabama coastlines, Dorst says. Fortunately, most people had evacuated from those areas. It was the failure of levees in New Orleans that led to the most deaths. Some people chose not to evacuate because they felt safe where they were. Others had no way to get out of town. Some were “wracked by indecision” and didn’t get out in time despite voluntary evacuation requests, according to Dorst. 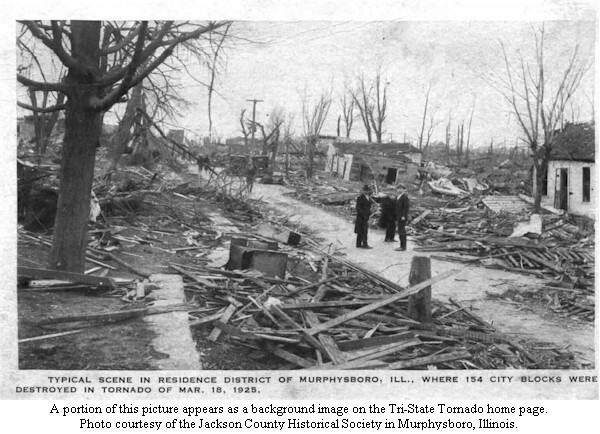 A monster tornado killed 695 people in Missouri, Illinois and Indiana on March 18, 1925. It touched down near Ellington, Missouri, and traveled 219 miles, injuring more than 2,000 people and destroying 15,000 homes. Its winds may have exceeded 300 mph. Its average speed on the ground was 62 mph and it lasted for more than three hours, finally dissipating near Petersburg, Indiana, according to the National Weather Service. It was the deadliest tornado in U.S. history that we know of, says Greg Carbin, warning coordination meteorologist at NOAA’s Storm Prediction Center in Norman, Oklahoma. Lessons learned: Today, many types of technology provide weather warnings, including cell phones, TVs and radio. NOAA Weather Radio works when other forms of communication don’t, says Carbin. We also know that for storms or flooding, people should be ready to hunker down. Families should have a survival kit, including water, canned food and flashlights, according to Carbin. “You can survive a tornado event above-ground,” he says. “Most tornadoes are relatively weak and short-lived. If your town or neighborhood or even your house is hit by a tornado, it’s unlikely that it’s going to scour the slab and leave nothing in its wake." Imagine at least 40 inches of snow blanketing southeastern New York and southern New England. Imagine snowdrifts up to 40 feet high. The Great Blizzard, also called the White Hurricane, dumped amazing amounts of white stuff in March 1888, paralyzing Washington, D.C., Philadelphia, New York City and Boston, according to the National Weather Service. Winds gusted to more than 70 mph at times. Paul J. Kocin, a meteorologist and winter storm expert at the National Weather Service, said “a combination of heavy snow, wind and cold proved lethal for people” who went out and became stranded.More than 400 people died, according to the weather service. Lessons learned: To survive snowstorms, “the best thing to do is to be able to hunker down,” he said. “You just need to have enough supplies to get through the next few days because you’re not going to be able to go to the stores.” Three to four days’ notice is plenty of time for people to take precautions, he added. Todd B. Bates, a finalist for the 2010 Pulitzer Prize in Public Service, is a freelance environmental, health and science writer and investigative reporter. He was a staff reporter for New Jersey newspapers for nearly 35 years. His most recent assignment was covering the environment and severe weather as a member of the Investigations Team at the Asbury Park Press.